December’s first orbital test flight of NASA’s Orion crew capsule was almost perfect, but engineers are carefully analyzing 600 gigabytes of data recorded on the spacecraft’s trip 3,600 miles into space to see how future missions to an asteroid and Mars could be improved. 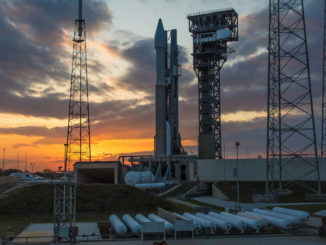 The data crunch will take much of the year, ultimately feeding into design tweaks and recommendations at a major Orion program review in the fourth quarter of 2015. 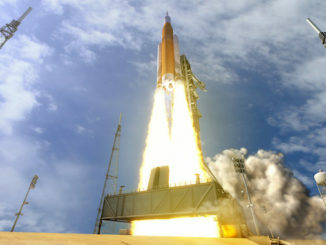 The first phase of the data analysis is nearly complete, according to Mike Hawes, Orion’s program manager at Lockheed Martin, NASA’s prime contractor for the crew capsule. Hawes said Lockheed Martin, which led the execution of the Dec. 5 test flight on behalf of NASA, has given the space agency all the data recorded during the four-and-a-half hour mission. A final post-flight report on the Dec. 5 demo mission — dubbed Exploration Flight Test-1 — will be submitted to NASA in the first week of March, Hawes said Wednesday. Engineers are shifting from analyzing how the Orion spacecraft’s systems functioned on the test flight to addressing how the capsule’s performance — in areas that both exceeded and fell short of expectations — could help improve future missions. 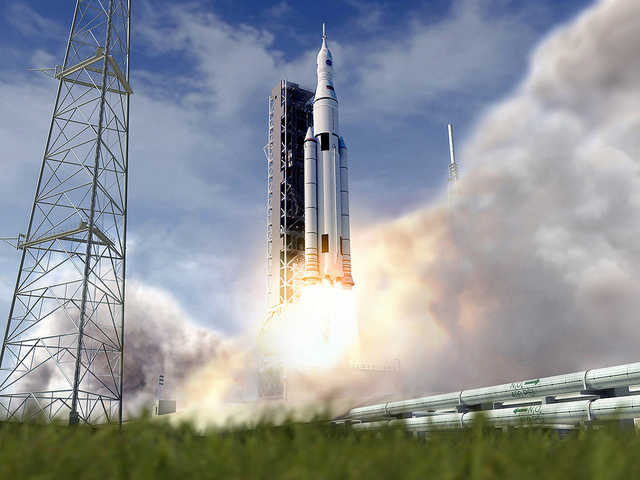 The next Orion mission is expected some time in 2018 aboard the first flight of NASA’s Space Launch System, a mega-rocket made of upgraded space shuttle technology that will blast off from launch pad 39B at the Kennedy Space Center in Florida. The EFT-1 flight in December launched on a United Launch Alliance Delta 4-Heavy rocket and splashed down in the Pacific Ocean west of Mexico. The 2018 flight is named Exploration Mission-1, or EM-1, and will not carry astronauts. The first mission with a crew is scheduled for 2021 on the EM-2 flight. The EM-1 and EM-2 flights will go around the moon, and the crewed mission will be the farthest voyage by astronauts since the last Apollo lunar landing in 1972. Orion’s EFT-1 test flight demonstrated a new 3D-printed vent, and an analysis of how the component performed could lead to future Orion missions flying with more parts produced with a 3D printer instead of traditional machining. 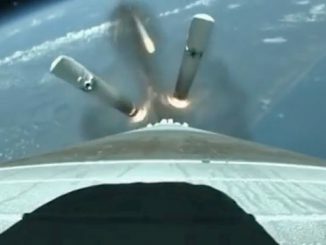 The Orion spacecraft consumed significantly less fuel than predicted thanks to an on-target injection from the Delta 4-Heavy launcher. Hawes said officials are considering ways to add more cameras to future missions after the Orion test flight produced spectacular imagery from start to finish — including rocket-mounted cameras during launch, views of Earth from 3,600 miles out, and the capsule’s atmospheric re-entry inside a ball of plasma. “We certainly have learned you can’t have enough cameras, so we’re in the midst of trades on imagery right now in terms of the follow-on plan in how we incorporate more imagery,” Hawes said. One blemish on the December test mission was in the crew module’s airbags, which are supposed to flip the capsule upright if it splashes down nose first. Only two of the capsule’s five bags fully inflated with high-pressure helium. Another airbag lost pressure soon after inflation, and two bags did not inflate at all. 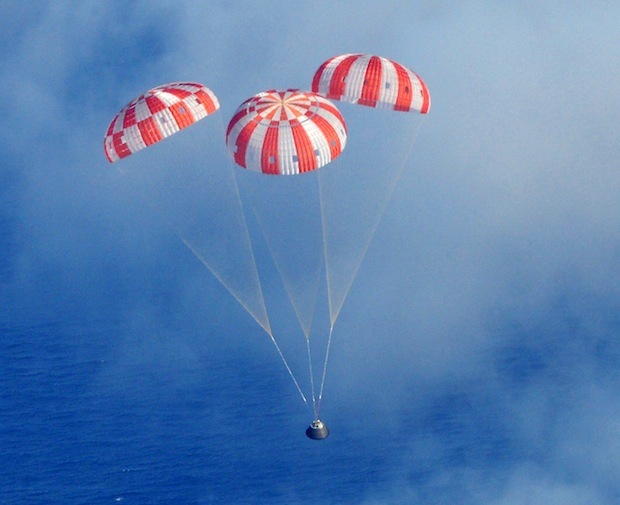 In the case of the EFT-1 splashdown, the Orion spacecraft landed in the correct orientation, and the bags were not needed. One earlier focus of the investigation into the airbag glitch was on threaded fittings inside the uprighting system’s helium plumbing. Engineers considered whether the helium gas could escape through the threads, but Hawes told reporters Wednesday that the bags themselves may be at fault. Hawes said Orion managers have not made final decision on redesigning the capsule’s 16.5-foot diameter heat shield to correct cracking problems and workmanship concerns. The Orion spacecraft plunged back into the atmosphere at 20,000 mph — about 84 percent of the velocity it would see coming back from the moon — and weathered temperatures near 4,000 degrees Fahrenheit. Avcoat insulation manually applied to 330,000 individual cells on the heat shield’s fiberglass-phenolic honeycomb structure was supposed to ablate away during the Orion spacecraft’s re-entry, protecting the underlying structure from searing temperatures. 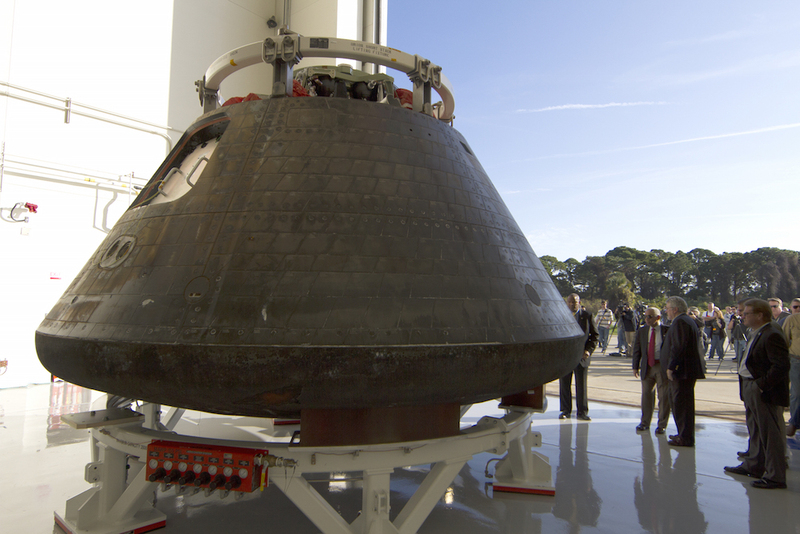 The Orion heat shield’s titanium skeleton and carbon fiber skin was fabricated by Lockheed Martin in Colorado. The skeleton was shipped to Textron Defense Systems in Massachusetts for installation of the honeycomb structure and filling of the Avcoat cells. NASA and Lockheed Martin may change the heat shield design for future Orion missions, using the same material but a different manufacturing method. Instead of attaching the heat shield to the capsule in one piece — called a “monolithic” design — engineers are evaluating a switch to a “block” approach using several pieces. The heat shield from the EFT-1 mission has been removed from the capsule and prepared for shipment to NASA’s Marshall Space Flight Center in Alabama where the leftover Avcoat material will be scraped off. The titanium base of the heat shield will then go to NASA’s Langley Research Center in Virginia for water impact testing, Hawes said. Hawes said Lockheed Martin and NASA are slated to discuss the future heat shield design in a few weeks.